Aluminium was just discovered in the 19th century, difficulties existed in refining aluminium from ore –alumina. The industry expanded thanks to developments in chemistry and it now drives the world to a new metals’ era. On average, world aluminium demand grows 5-7% annually. The world's largest aluminium companies are usually vertically integrated, owning both bauxite mines and ore refineries. Two of the largest are Russia’s Rusal and India’s Hindalco. The latter has recently launched a development program to expand its capacity by 500kt, for a 1,300 INR worth investment. The project is expected to be over in the next 30 months. However, Hindalco’s program is actually a consequence of a possible free-trade area among India and Russia. In the agreement, India would import agricultural products mainly, of which it is in shortage. Russia, instead, is interested in the electronic industry, in which India excels. Thus, cooperation between the two countries suggests a possible further improvement regarding aluminium industry. ‘If we join forces, we will be able to achieve maximum efficiency in the creation of unmanned air, sea and motor vehicles’ -Russian Trade and Industry Minister Denis Manturov said. Yet, another case is of greater interest in the aluminium market today. Namely, the US-China ‘trade war’. China recently showed remarkable rates of economic growth. It became the world's largest aluminium producer and consumer –although largely supported by government subsidies. China’s aluminium production satisfies all the domestic demand and even increases its export of semi-finished aluminium goods. Due to an uneven trade balance among China and the US –worth $375 billion bilateral deficit for the US- Trump’s administration started investigations on possible ‘dumping’ actions by Chinese companies. In February 2018, tariffs were planned on Chinese imports including 24% on steel and 7.7% on aluminium. In March 2018, such tariffs become effective with a 25% tax on steel and a 10% charge on aluminium –under the justification of safeguarding national safety. In response, China enforces its tariffs towards the US in April 2018. A 15% tax is set on something like 120 American products -including wine, agricultural goods and steel pipes- and a 25% tax on others -like recycled aluminium and pork. For a short time, the Trump administration granted short-term releases from the steel and aluminium tariffs to the EU, South Korea and other countries. Yet, not to China. Thus, the ‘trade war’ among the two countries is likely to get worse. Meanwhile, Switzerland, Canada, EU, Mexico, and Norway have initiated a process against the Trump aluminium tariffs with the World Trade Organization. 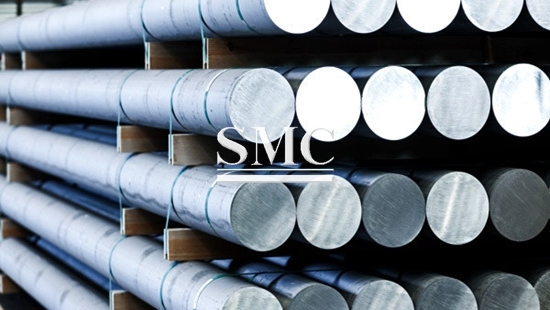 At Shanghai Metal Corporation, we are primarily interested in such global issues. We are passionate about the products we supply and we constantly strive for achieving high-quality items –while always keeping an eye on trade fluctuations. For a full range of products and further information, please click here.